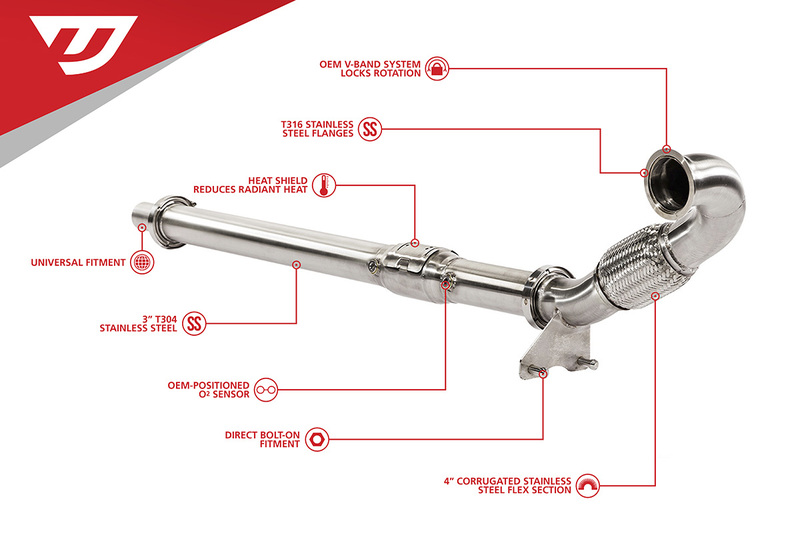 Constructed of 3" T304 stainless steel mandrel bent tubing, T316 stainless steel flanges, a corrugated stainless steel flex section, and TIG welded fabrication, this downpipe is built to outlast and outperform the competition. All Unitronic downpipes come equipped with a 200-cell high flow metallic catalytic converter and all transitions are flow-matched to allow for maximum performance and airflow. 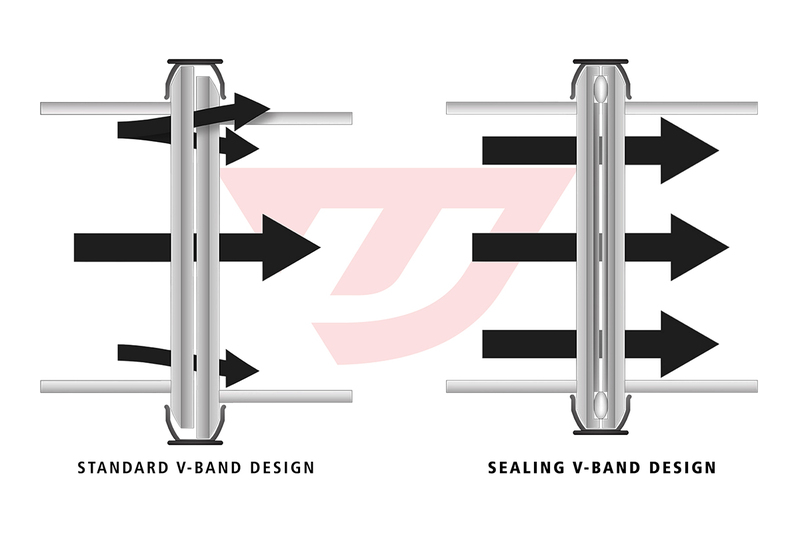 In addition, Unitronic exhausts feature easy-to-use v-band flanges to ensure a fast and effortless installation and precise fitment. To finish it off, an OEM-inspired catalytic converter heat-shield protects against unwanted heat radiating in the exhaust tunnel. Every Unitronic Exhaust System comes equipped with a brushed matte finish for an elegant appearance that will last a lifetime. 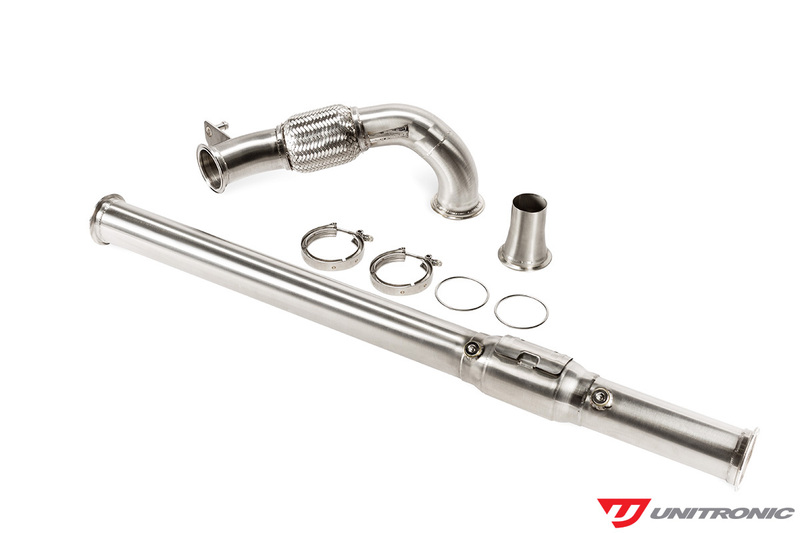 Unitronic's 3" Downpipe fits vehicles equipped with the 1.8/2.0 TSI Gen3 (FWD) engine. Featuring a unique v-band fastening system and engineered using the latest in 3D modeling technology, Unitronic Performance Exhaust Systems are made easy to install.